A management thought leader and adviser on applying Lean process thinking to all kinds of businesses across the world, Dan Jones is an honorary graduate of the University of Buckingham Business School (Doctor of Science, 2015). After studying at the Universities of Sussex and Manchester he joined the National Institute for Economic and Social Research (NIESR) in 1973, researching innovation in the energy industries and comparative industrial performance. In 1977 he joined the Sussex European Research Centre and the Science Policy Research Unit at the University of Sussex, researching European industrial policy and performance. In 1979 Professor Jones became the European Director of MIT’s Future of the Automobile and International Motor Vehicle Programmes. He co-authored several best-selling management books, including The Future of the Automobile, The Machine that Changed the World, Lean Thinking and Lean Solutions, which summarised the Lean management systems pioneered by Toyota, as well as three articles in the Harvard Business Review. 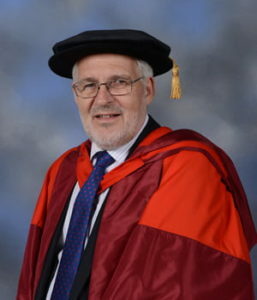 In 1989 he became Professor of Manufacturing Management and founder of the Lean Enterprise Research Centre at Cardiff University Business School. He left Cardiff in 2004 to establish the non-profit Lean Enterprise Academy in the UK (and 16 other institutes in the Lean Global Network), to teach organisations around the world how to use Lean to improve their performance. The Lean Enterprise Academy seeks to encourage and empower people through coaching and problem solving, provide new means of organisational transformation to the modern employee, helping them to make a difference in their occupation and allowing organisations to become innovative and sustainable. Professor Jones has helped to spread Lean to pioneering organisations in manufacturing, retailing and distribution, services, construction, healthcare and the public sector, making Lean the most successful business improvement methodology of our time. As a result of his work with the Lean Enterprise Academy, Professor Jones has become a respected keynote speaker, and has organised various Lean Summit conferences throughout Europe. He organised the first Global Lean Healthcare Summit, wrote the Lean Thinking for the NHS report and published the Making Hospitals Work guide to using Lean to improve hospital performance. He was a member of the UK Government’s Rethinking Construction, Manufacturing Futures, Automotive Innovation and Growth and Skills for Sustainable Communities task forces. He helped establish the first Company University in the UK at Unipart and the International Car Distribution Programme (ICDP). He was an adviser to the grocery industry’s Efficient Consumer Response (ECR Europe) movement and Editor in Chief of the International Commerce Review. He continues to advise leading organisations across the world on Lean management. He can be contacted at dan@leanuk.org or via Twitter (@DanielJonesLean) or LinkedIn.